Michelle Ye not bothering to maintain her gentleness anymore! This episode of 'Stars' Big Challenge' is honored with presence of TVB fa dan, Michelle Ye who has acted in several series, singer Jennifer Li, actors Feng Lei and Huo Zheng Yan. This episode is said to be crowded with handsome guys and gorgeous woman, it is believed that their performance will be excellent. 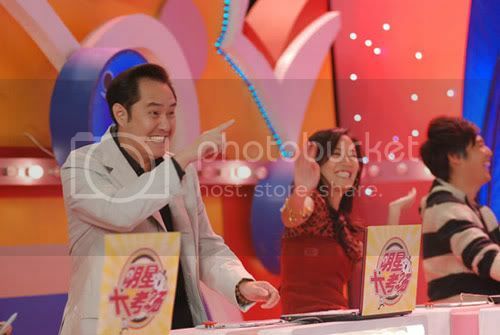 Among the segments, there is one when guests will spin and if unfortunate will be punished with weird punishment, where Jennifer Li was unlucky enough to earn one! Jennifer Li was unwilling to open her mouth to the extremely spicy chicken! Beauty Michelle Ye who has acted in several series not only appeared stunning, her singing was not bad too. In the 'long breath' segment, she unexpectedly chose a child's song 'The two tigers'. This choice of song couldn't help setting the audience at set roaring with laughter. 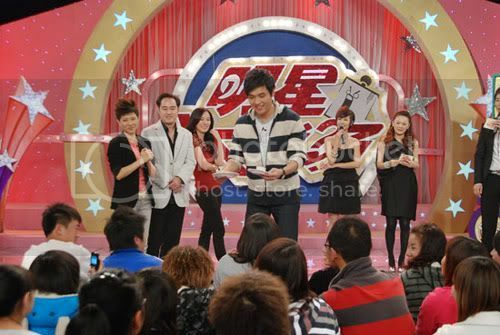 'Stars' Big Challenge' will air: Chongqing TV on 28th Dec at 2315 hours.